Burgundy Leather Jacket over Floral Maxi. 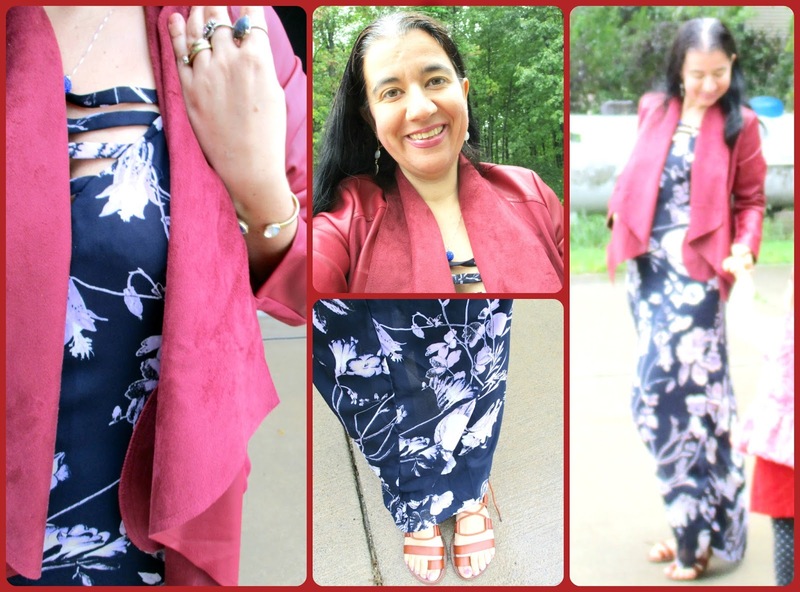 As you know from yesterday's post, I love burgundy or merlot this season. It is such a rich and beautiful color. I mentioned yesterday a certain leather jacket I picked up recently at Nordstrom. This is the jacket you guys. I love this mixed media beauty. It is vegan leather and faux suede and the collar neckline is my favorite. I paired it with this Navy Flowey Maxi Dress with Lavender Flowers that has a fun neckline almost like a lace-up style. I picked these both for about 30% during Nordstrom's Big Annual Sale (along a few other things) and I am glad I paired them both together and wore them on the first day of October. This was a great outfit to run errands in but I wish I had taken photos before. These are all blurry because it was drizzling rain when I took them. I still wanted to photograph the outfit because I liked it a lot. The timer doesn't work well with rain, I need to invest on a remote, any ones you suggest?! 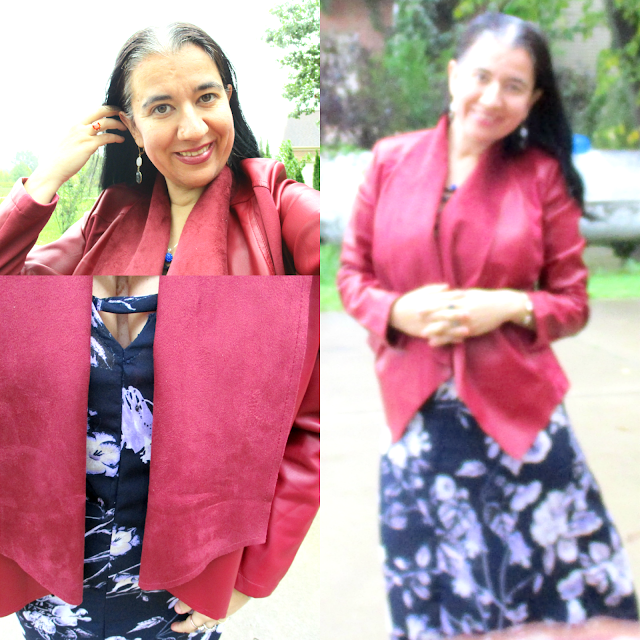 My beautiful burgundy jacket is sold out but there is a very similar one which I love and priced wonderfully, too. Vivian was wearing the most adorable outfit that day- look at her red corduroy culottes you guys - so I had to snap a few pix of hers. Vivian loved mommy's outfit so much, told me I looked very pretty and kept giving me thumbs up. Vivian giving a thumbs up to my outfit. Sh said she liked "mommy's flower dress and red jacket". Navy Flowey Light Maxi Dress w/ Lavender Flowers: Nordstrom (New) (very similar, Fantastic Deal), (similar, Steal), (similar, love this), (beautiful Bohemian option w/ long sleeves, love this), (dressy, gorgeous ombre option, Splurge, my Favorite). Merlot/Burgundy Vegan Leather+Faux Suede Drape-Front Jacket: KUT from the Kloth via Nordstrom (New) (very similar, Great Deal), (similar, on Huge Sale), (similar w/ a faux fur collar, Great Deal, love this), (warm outerwear option, Small Splurge, my Favorite). Dangly Oval-Shaped Double Stone Earrings in Marble & Black Quartz: Olivia & Grace via Rocksbox (New) (similar simple option, Steal, love these), (gorgeous, dressy statement option, Steal, my Favorite), (similar, Great Deal). 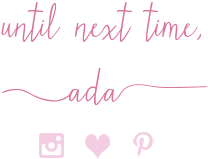 Gold-Tone Crystal Sparkly Octavia Cuff: Loren Hope via Rocksbox (New) (gorgeous dressy option, Steal, love this), (very similar by Loren Hope), (similar, my Favorite from Loren Hope, I own this). Baby Pink Long-Sleeve Tee: Baby Gap (New). 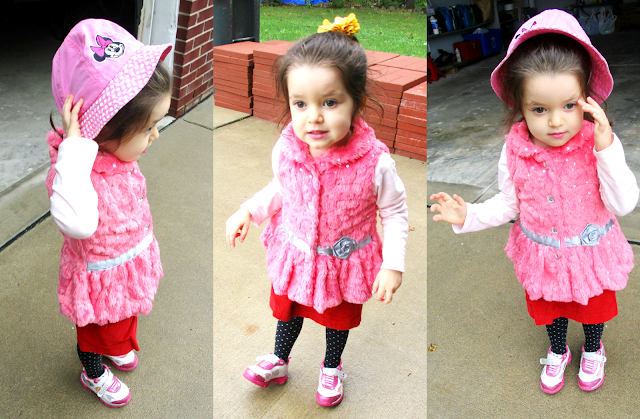 Bright Coral Pink Faux Fur Vest w/ Silver Rose: Little Lass (New). Red Corduroy Culotte Pants/Skirt: Zara Kids (New). Black w/ tiny White Polka Dots Tights: Wal Mart. Mustard Flower Hair Elastic: A Boutique in Albania. Pink Light Hat w/ Embroidered Minnie Mousse: Disney. 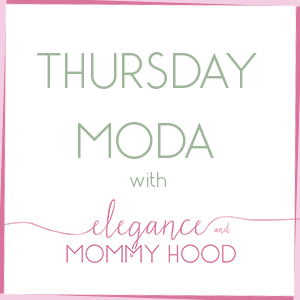 The new Thursday Moda linkup will be live HERE tonight at 7 PM Central (6.00 Eastern). Be here and join myself and my co-host Nina. Thank you and Happy Hump Day!